Beige lace shorts are in trend right now, when paired with a bright t-shirt or shirt like our girl did here, they look amazing!! I also like walls with lots of frames and art. In real life though, its a pain to complete a wall project like this. 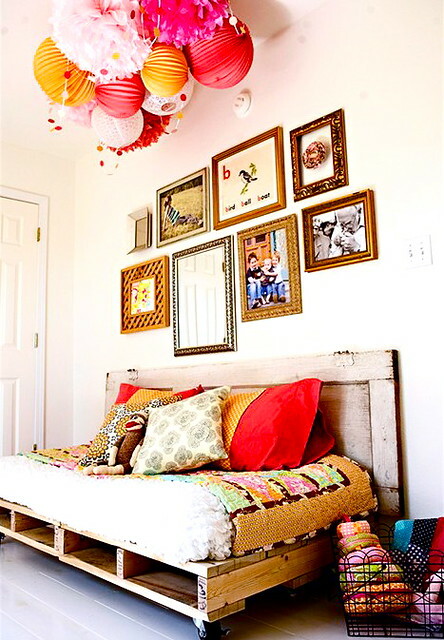 It takes time to collect small frames and it also takes so much time to arrange and hang them on a wall. My tip for you is to not be lazy and go for it. Photo 1 via beacuseimaddicted, Photo 2 via acreativeinterior.